Complaints about a controversial alcohol ad featuring Conor McGregor have been upheld by the advertising authority. The Advertising Standards Authority Ireland (ASAI) received two complaints about Budweiser's 'Dream Big' competition which was fronted by the MMA fighter. McGregor was the face of the competition which offered customers the opportunity to win €50,000 to travel to America to "fulfil their dreams". Complaints received by the ASAI said the ad was "irresponsible and inappropriate" to link McGregor to the advert because it linked a role model for children to alcohol. One complainant said that MMA was an "aggressive sport" and that linking it to an alcohol product was sending out a "dangerous message" to young children. 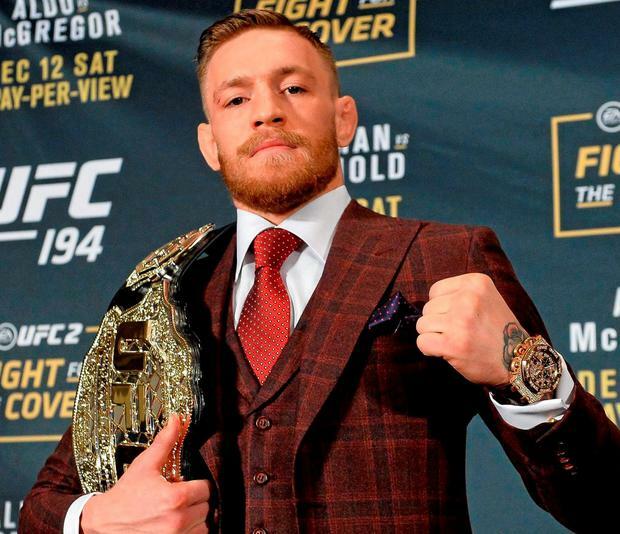 Diageo (Budweiser) defended the advertisement, saying McGregor was not presented in his "UFC environment" and there was no suggestion the Budweiser brand attributed to McGregor's "sporting or social success". However, the ASAI agreed with the complaints, saying the MMA star was a hero for young people. They ASAI warned that the advertisement "should not be used in the same format again". The compliant was one of six that were found to be in breach of advertising codes relating to misleading advertising. ASAI chief executive Orla Twomey said the organisation was committed to ensuring "responsible advertising" in the interest of consumers and society.